Move over dear fashion influencers and aspiring Kardashians! The first and only true fashionista in history is a German man with a serious job that allows him to earn a lot of money, an impeccable sense of style in imagining his outfits to get noticed and at 29 he wasn’t ashamed to pose naked showing (indeed, highlighting) all his imperfections. The name? 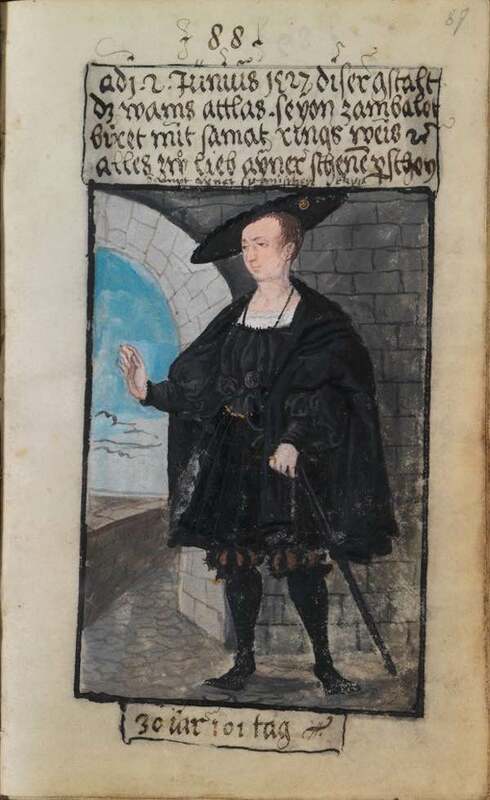 Matthäus Schwarz. 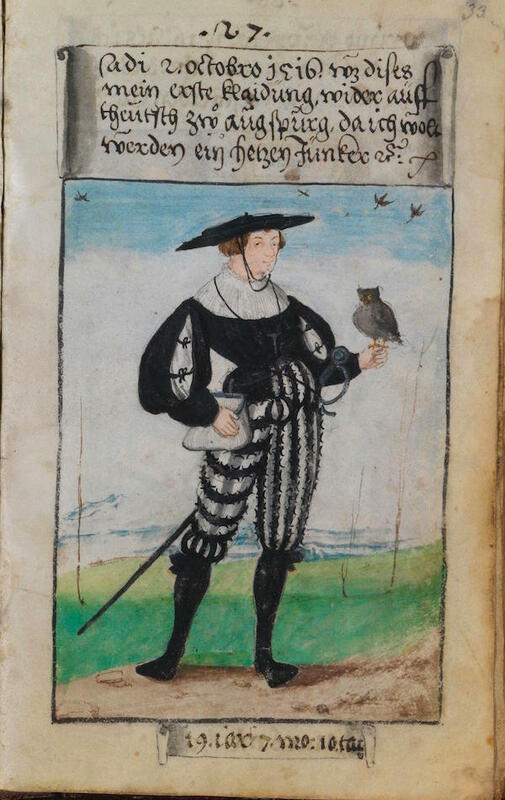 Forget no-gender clothes, cuffed pants or tattoos because Matthäus Schwarz was chief accountant to Jakob Fugger the Rich, who was a member of a famous merchant family considered as important as royalty in the 16th century. 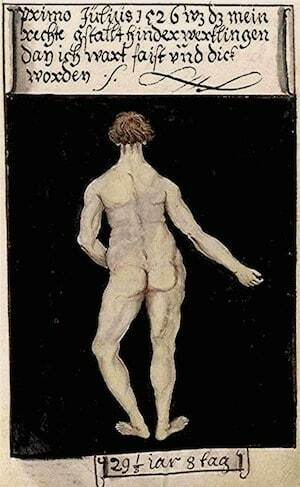 Actually they are known as the “Medici of the North”. 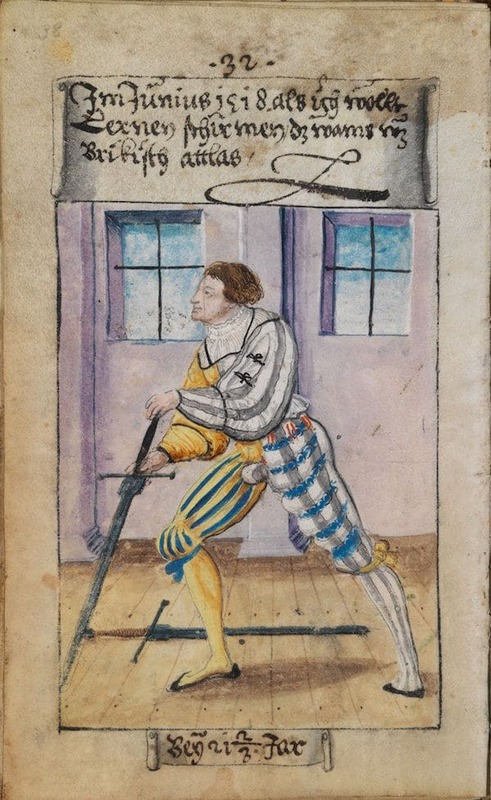 Born in Augsburg in 1497 by wine merchant Ulrich Schwarz, he was trained as an accountant in Italy, before returning to Germany to work for the Fuggers. 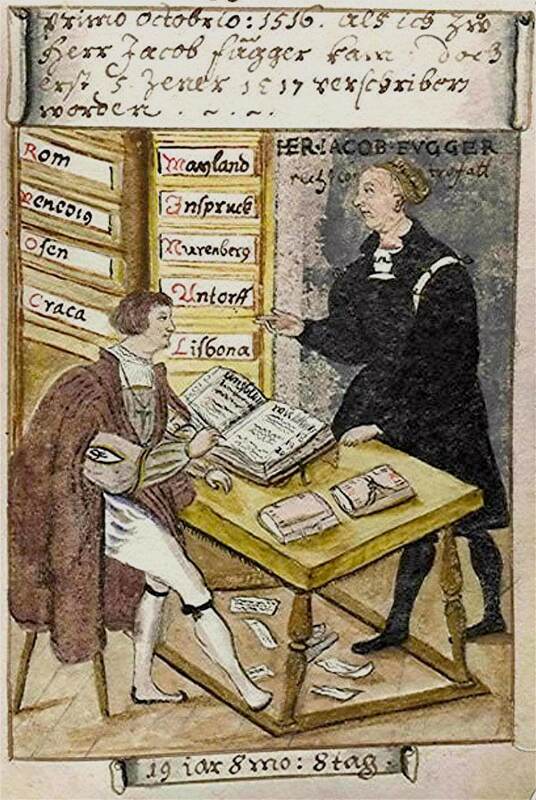 Scholars remember him for some of his texts in which shows his personal frame of mind: the Dreierlay Buchhaltung (1518) in which he explains the art of bookkeeping, and the most curious Klaidungsbüchlein, The Book of clothes (1520-1560). 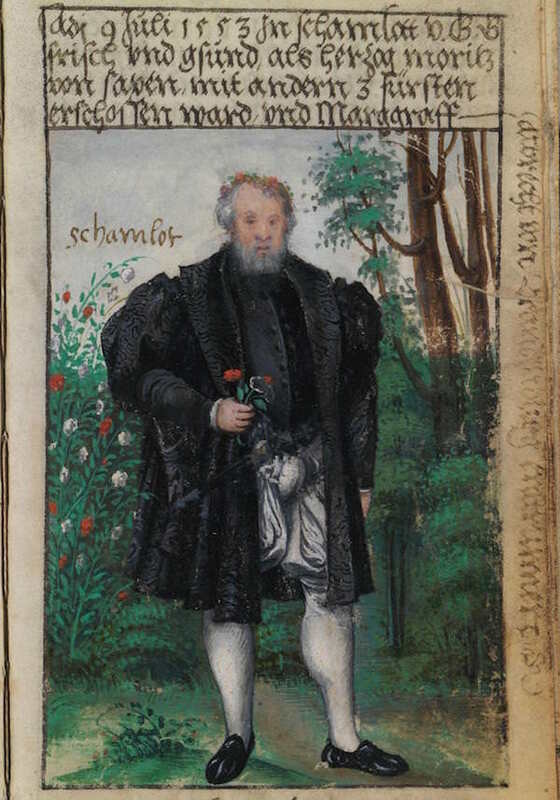 The first describes the techniques for managing accounts basing on what he learned during the apprenticeship in Italy, while the Book of clothes is a sort of guide to the personal style of Matthäus Schwarz that records all the major outfits worn from his birth (backdated) until the funeral of his last boss, Anton Fugger, in 1560. 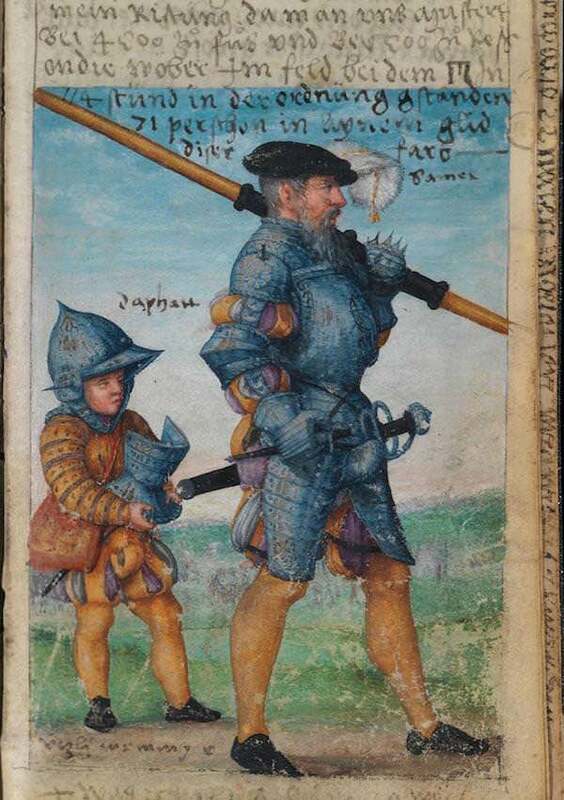 Even his son Veit Konrad Schwarz was indoctrinated to the cult of style, so, in addition to doing the same job of his father and in the same family, he also continued the book for a short time. 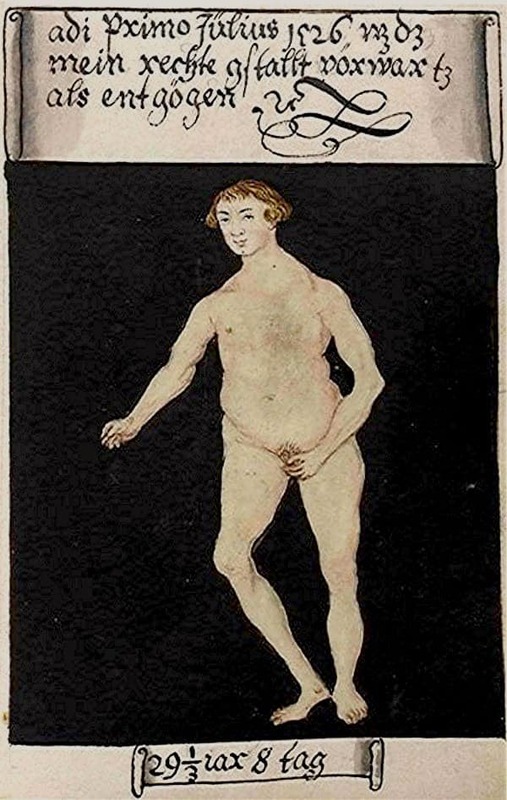 I think that the Klaidungsbüchlein is one of the most brilliant apparently nonsense things that a man like Matthäus Schwarz could conceive and create in the 16th Century: a trailblazing Instagram account made with watercolors by prominent local artists, accompanied by two empty scrolls in which Schwarz reported his age, the date, the occasion in which he wore that dress and the detailed description of the fabrics used. 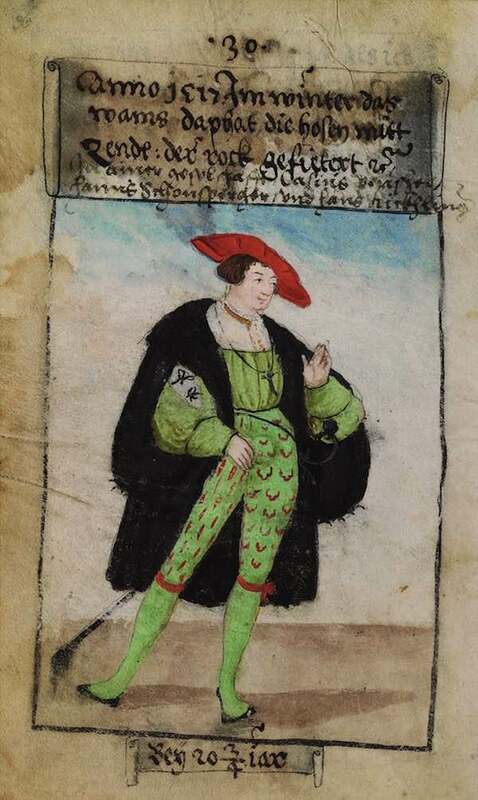 Needless to say that the extraordinary feature of the mini booklet (10×16 cm) lies in having “visually recorded” the style of clothes that, as explained by the researcher Ulinka Rublack, were entirely designed by Matthäus Schwarz himself, and then made with the best fabrics he could find on the market, being careful to not exceed in opulence and to not compete with Fugger’s clothes. 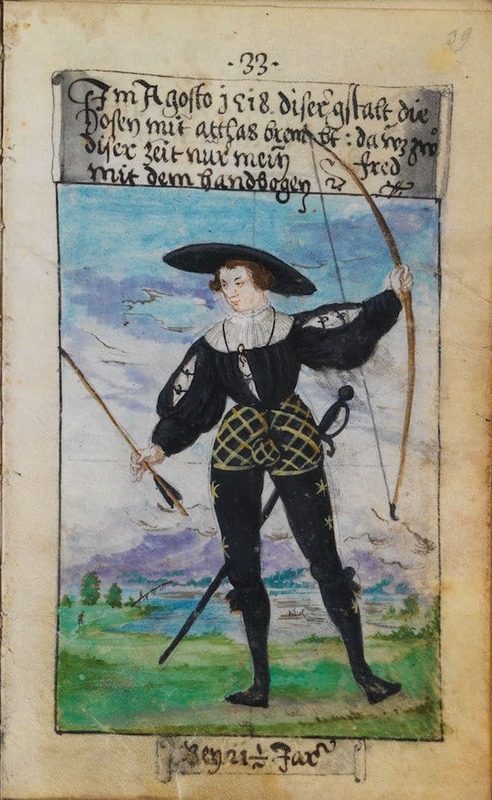 This creative limit was a challenge for him, but at the same time shows us how the dress-code and dressing in general were aspects that deeply characterized the society of the Renaissance. 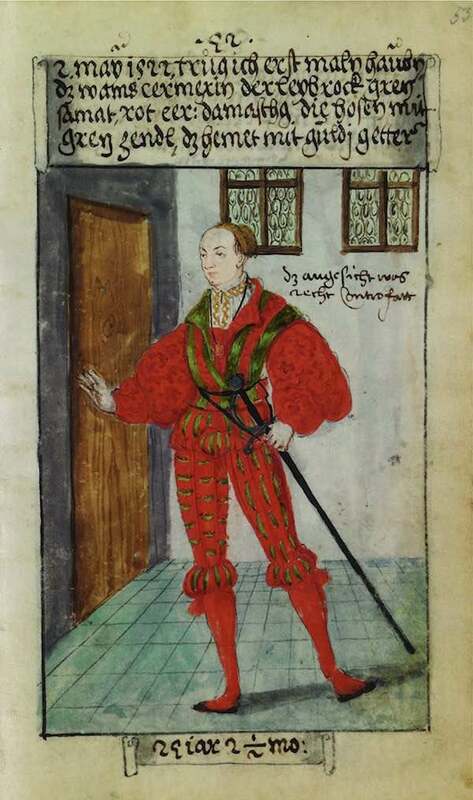 Indeed, Matthäus Schwarz could communicate his religious and political support in every occasion simply wearing some outfits and especially using some specific colors, like when he wore his colorful dress at Anton Fugger’s wedding in 1527, or the festive clothing for the visit of Maximilian I, Holy Roman Emperor, for the Diet of Augsburg in 1518. 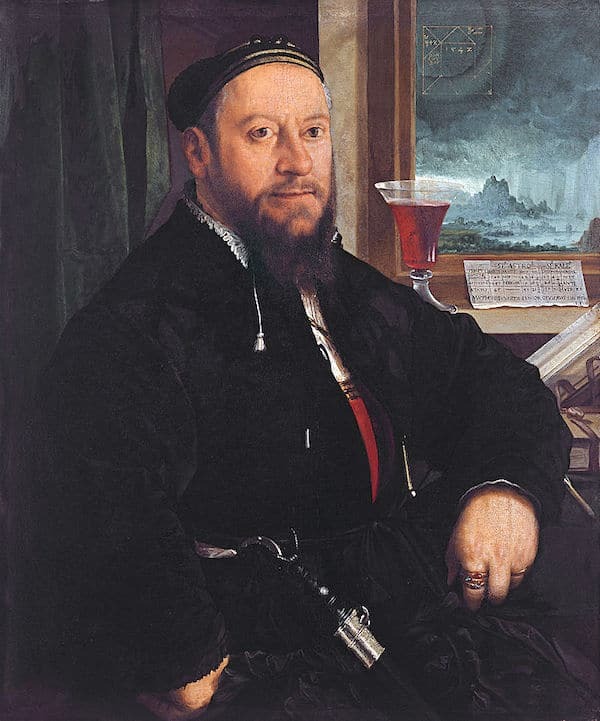 His attention to appearances was more efficient than any secret political agreement, so that he was ennobled by Charles V, Holy Roman Emperor, in 1541. 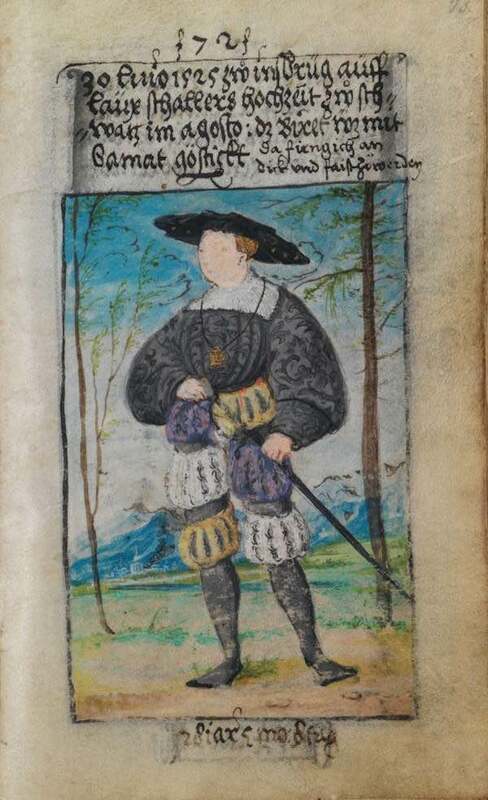 As you can easily imagine the Book of clothes it is very fragile and the original one, kept at the Herzog Anton Ulrich Museum in Braunschweig (there are only two copies of the 18th century, one in Paris and one in Hanover) is never shown to the public, but today anyone can see the infinite variety of clothing worn by Matthäus Schwarz leafing through The First Book of Fashion: The Book of Clothes of Matthaeus and Veit Konrad Schwarz of Augsburg, by Ulinka Rublack and Mary Hayward, published by Bloomsbury. 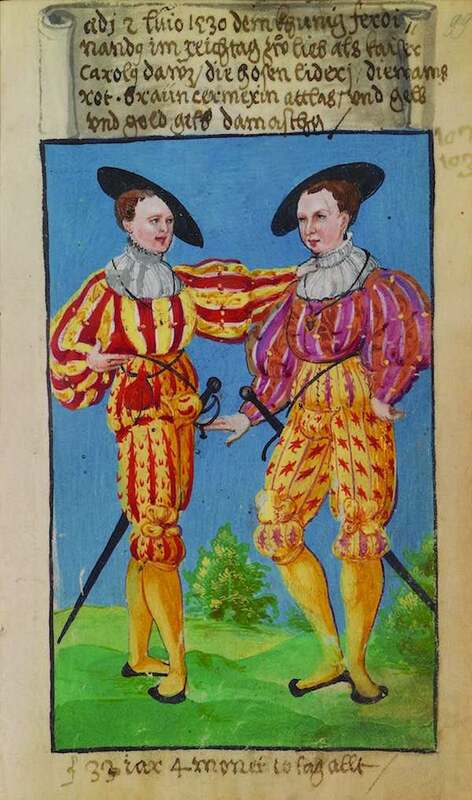 In addition, for those who want to challenge themselves in the realization of one of the fancier outfits, at the end of the book there is the pattern of the leather and silk festive dress used to impress King Ferdinand I during a visit in 1530, rebuilt by Tony Award winner costume designer, Jenny Tiramani. 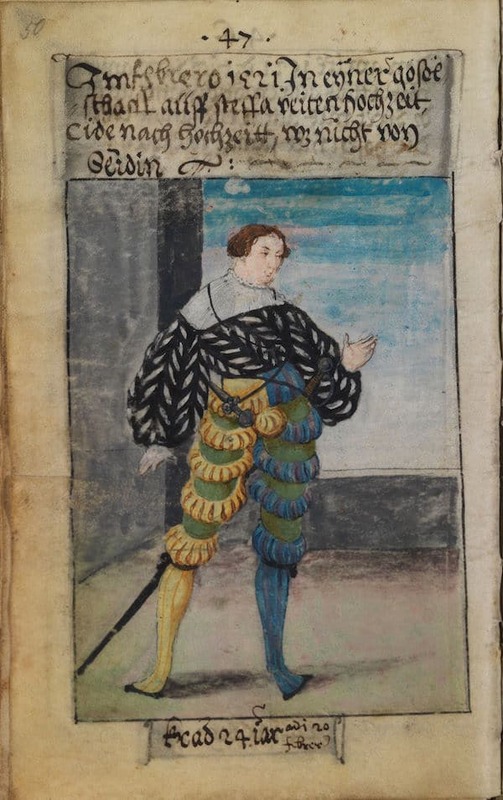 Texts like this proves that fashion was an important means to justify and show the status and the role of anybody in the society of the 16th century. 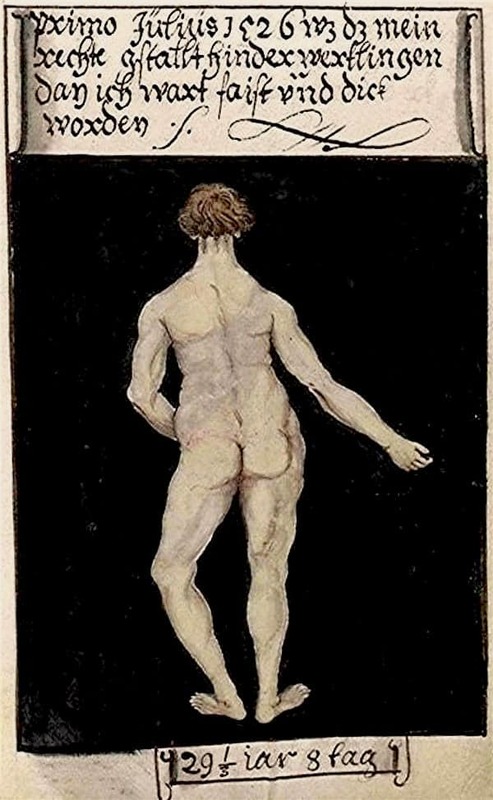 Who knows, maybe Kim Kardashian’s selfie book published by Rizzoli will become a rare volume for the fashion and costume history scholars of the future, given that it follows the same hedonistic principles of self-documentation by Matthäus Schwarz. Obviously I’m joking… or maybe not. 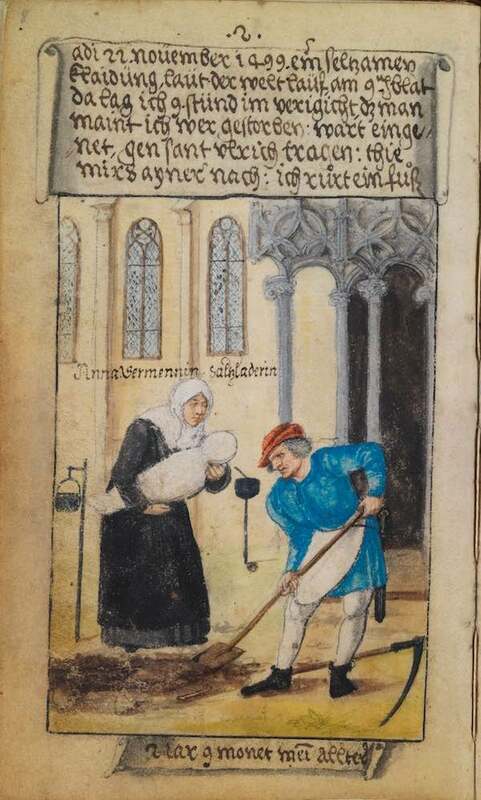 If you want to see the copy (18th century) of the Book of Clothes kept in Hanover, you can download the manuscript CLICKING HERE. 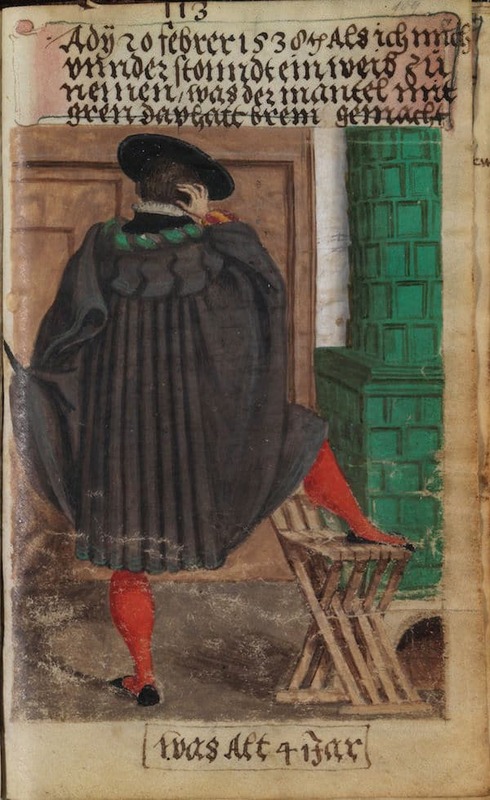 If you want to see a preview of The First Book of Fashion: The Book of Clothes of Matthaeus and Veit Konrad Schwarz of Augsburg by Ulinka Rublack e Maria Hayward you can click HERE (Amazon preview, with some images), or HERE (Google Books, without images). Oddio il paragone con Kim Kardashian mi fa morire!! 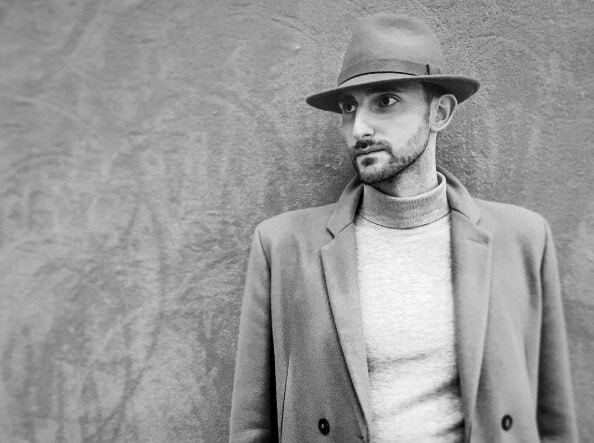 Bhè si sa, la moda ha sempre rappresentato una parte importante della vita dell’uomo, sin dagli inizi..e gli edonisti ci sono sempre stati!! Tutto questo è veramente meraviglioso è proprio vero che l’umanità ha da sempre in seno il seme del genio! Bravissimo tu per tutta questa ricerca e questo articolo interessantissimo!